Natural language generation (NLG) is a software process that automatically transforms data into written narrative. Learn about the most common questions and myths infiltrating the market about NLG. NLG solutions are made of three main components: the data behind the narrative, the conditional logic and software that makes sense of that data, and the resulting content that is generated. The main requirement for natural language generation is ownership or access to structured data. Structured data has a defined structure where specific values are categorized into distinct sets. The output is powered by the narrative design, which is constructed by the end user of the Wordsmith or by our Managed Services team. The narrative design consists of conditional logic rules that trigger different outputs based on the data set behind the content. The narratives automatically generated via NLG sound as if a human manually crafted each one. As a result, NLG empowers organizations to scale personalized content production and generate written analysis that makes everyone their own data expert. Learn about the NLG providers that matter the most and how they all stack up according to Forrester Research. By 2020, natural language generation and artificial intelligence will be a standard feature of 90% of modern BI and analytics platforms. From video game and fantasy football match recaps, to custom BI dashboard analysis and client communications, natural language generation is valuable wherever there is a need to generate content from data. Automated Insights empowers organizations in over 50 industries to generate human-sounding narratives from data. Natural language generation empowers organizations to create data-driven narratives that are personalized, insightful, and sounds as if a human wrote each one individually—all at a massive scale. Natural language generation enables you to generate complex personalization at scale. Utilizing each individual’s specific data to craft a custom narrative, NLG can create improved customer communication and experience by delivering unique content to every single one of your users. With NLG, you can transform data into human-sounding content at an unprecedented scale. Produce thousands (or even millions) of unique narratives in a fraction of the time it would take to write each of them manually. NLG solves communication issues around data by scaling expertise and providing each employee with their own personal analyst. 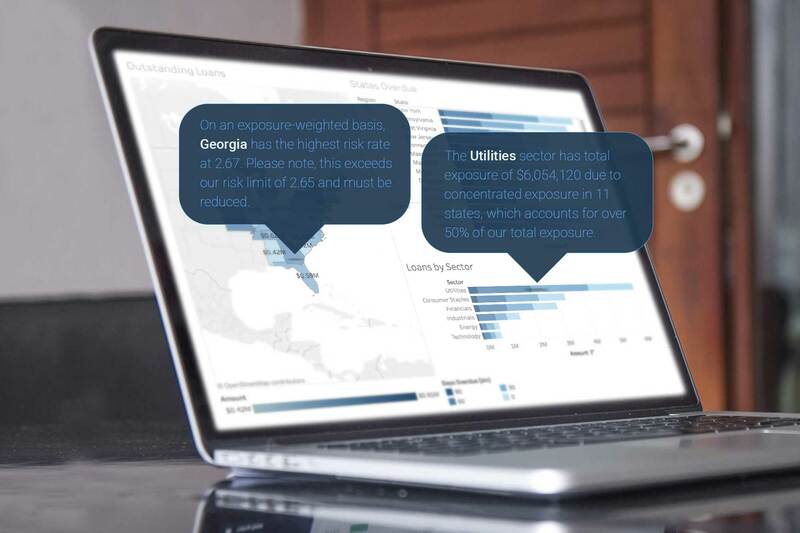 Wordsmith enables organizations to make better data-driven decisions, faster. 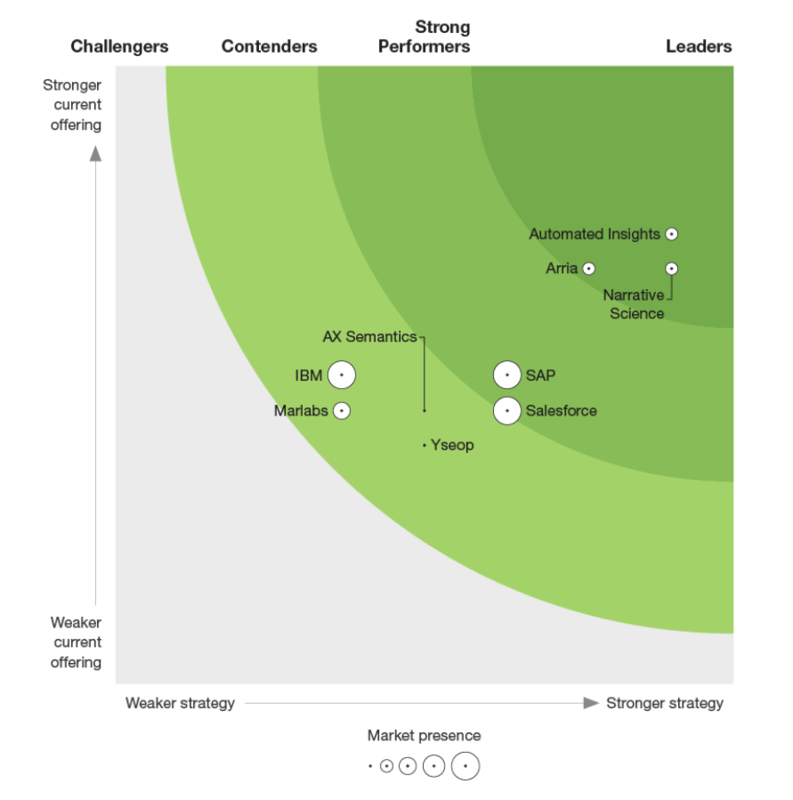 The NLG providers that matter the most and how they all stack up according to Forrester Research. Natural language conveys expert-level analysis and advice in concise, insightful terms that engage and fully inform each end-user. Finding insights may appear simple on the surface, but they can actually turn out to be more complicated if you don’t have context.